International Hot Rod Association - D-1 and D-3 Team Finals Postponed, D3 Summit Super Series Races Will Be Contested As Scheduled. D-1 and D-3 Team Finals Postponed, D3 Summit Super Series Races Will Be Contested As Scheduled. Due to pending severe weather the IHRA D1 Raiders and the Division 3 Northstars Summit Team Finals event will be postponed until after the World Finals. A rescheduled date and detailed schedule will be posted as soon as possible. With the upcoming Summit Super Series World Championships in Memphis just a week away, the D9 Raiders Summit Super Series runoffs and the D1 Patriots runoffs will be contested at Piedmont Dragway this weekend. The D3 Northstars Runoffs will be contested at Pittsburgh Raceway Park this weekend as well. The Summit Super Series runoff events will be run separately as originally planned. "There is plenty of asphalt parking for all SSS participants. We currently do not have a detailed schedule for the weekend. Our plan is to run the qualifiers and eliminations as soon as there is a window in the weather over the course of Saturday and Sunday. We will do everything within our power to get these runoffs done in as timely a fashion as possible", stated division director Josh Peake. The gates will open at 9 am Saturday morning at Piedmont. Due to pending severe weather, including flash flood warnings, the D3 Team Finals event will be postponed. 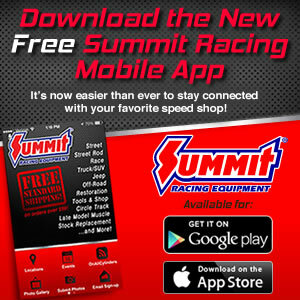 The Summit Super Series will be contested on Friday. A rescheduled date will be released as soon as possible. “The entire facility has been engulfed with water due to the flood warning conditions on Wednesday.” Division Director Jon O’Neal said. If we had a chance to park our racers safely we would be willing to fight through a weather filled weekend as we have in the past, but even the highest and most well drained spots have standing water on them.” The Summit Super Series must be run to determine the World Championship contestants the following weekend in Memphis. The ability to use asphalt in front of the tower and in the secondary staging lanes ensures that our Summit Super Series contestants will be able to pit and run comfortably and safely. SSS racers will be able to enter Pittsburgh Raceway Park on Thursday or Friday morning and a detailed run schedule will be posted including Time runs before Qualifying and eliminations. The SSS representatives will also be welcome to return to the reschedule date for their respective Team Finals event to compete with their team.